Rain, rain and oh yes, some more rain. That is how things have been lately. The rivers have burst their banks and fields all around have become muddy swimming pools. Detours must be taken on the simplest of journeys to avoid flooded roads. We are at the mercy of the weather. Being partly Scandinavian, I really don’t mind the cold, in fact I positively love snow. But rain is another thing altogether. Anything that has the power to make me look and feel like a drowned rat, is no friend of mine. Yes rain, you heard me, we are not buddies. So, in defiance of my old adversary ‘rain’, I threw my January diet out the window and set about creating some thoroughly decadent, utterly comforting, belly warming Tartiflette. Honestly, if you have found yourself soaked through, your normally jubilant self all fed up, then this is the dish for you. It will hug you from the inside and lift your spirits. Don’t let the rain get you down, fight back….eat Tartiflette. Pre-heat your oven to 180 FAN / 200 C. Put your potatoes in a pan of salted water and bring to the boil. Simmer for 10 minutes until just cooked but still firm. Meanwhile, heat your olive oil in a pan and add your onions and bacon lardons and fry for 6-8 minutes, until cooked through but not crispy. Steam your broccoli for 5 minutes. It should still be firm but cooked. Add the white wine to the pan with your onions and bacon and let it bubble and reduce for 5 minutes. Add your cooked, drained potatoes to the pan with the onions and bacon. Take the pan off the heat. Cut your cheese into cubes and add to the potatoes. Seasons well , add the creme fraiche and stir everything together. In an oven dish, spread half of your potato and cheese mixture into the base. Then lay your broccoli over the top to cover in a bright green layer. Pour in the remaining half of your potato mixture and spread it out to cover the broccoli. Place the Tartiflette in the oven and cook for 30 minutes. 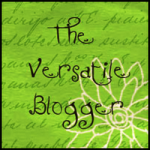 I am entering this recipe into a few challenges. 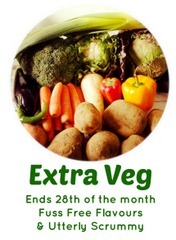 Firstly, a new one called Extra Veg hosted by Helen from Fuss Free Flavours and Michelle from Utterly Scrummy Food For Families. 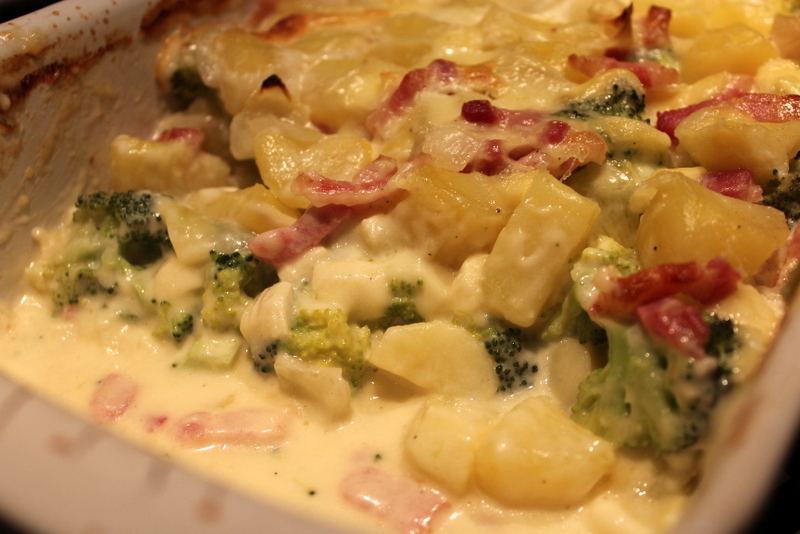 Tartiflette is not usually made with broccoli but the extra veg in this really made the dish for me. Also, I am entering this into January’s Cheese Please! 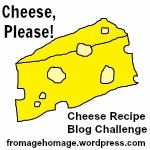 challenge hosted by Fromage Homage where the theme is Comfort Food & Winter Warmers. This is spot on for the challenge I think! 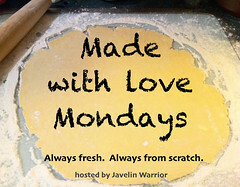 And last but not least, my old favourite, Made With Love Mondays hosted by Mark over at Javelin Warrior’s Cookin W/Luv as I made it from scratch. Simple and easy and oh so good. 18 Comments on "Cheer Yourself Up! Eat Tartiflette with Broccoli"
It’s hard to make tartiflette look pretty in pictures. But you did! I love the addition of broccoli. Oh I adore Tartiflette, actually I could do with some after the rain we have been having here too. It really is a winning dish and I love your added broccoli too! Yummy, looks like the sort of belly warming food I could do with amidst the soggy weather too. As broccoli is one of the few vegetables my 6 year old is a fan of at the moment, think it’s a great idea to add. God this looks good! Personally I love rain, but I wouldn’t let that stop me from enjoying some of this! My wife would love this too – she’s crazy about broccoli. Can’t say I’m quite as nuts about it as she is, but it’s definitely enjoyable. Thanks Charles. Tartiflette is an all round winner with adults and kids alike it seems. Anything smothered in that much cheese has got to be a good thing right? ! Oh I so adore good old Tartiflette! Always a bit of a staple highly calorific winter warmer. Probably a very idea to veg it up a little!